AMNET members meet face-to-face twice per year. This first meeting in January 2018 allowed the current 18 participants to share experiences and plan how best to collaborate. AMNET deliverables were discussed, focussing in particular upon the situational analysis at all study sites. Dr. Mosepele Mosepele, AMNET Chair, opened the meeting and welcomed the participants from all AMBITION sites. This was followed by an overview of AMNET highlighting the deliverables, milestones and achievements to date. During subsequent discussions, it became clear that there was a desire to include community and public engagement, health education work and advocacy work in AMNET’s goals. 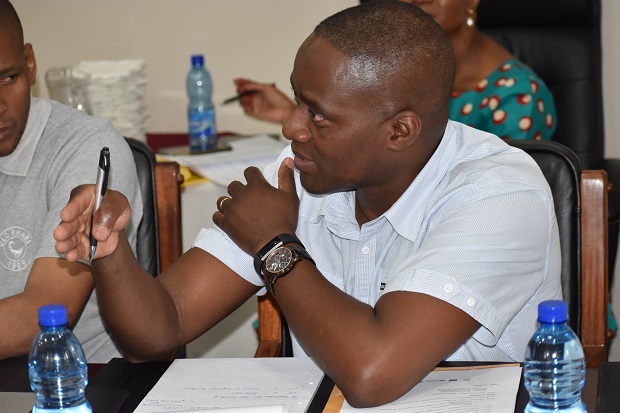 The group enjoyed presentations from site PIs / study doctors on the country-specific situational analyses, which provided detailed and realistic impressions of current meningitis screening, diagnosis, treatment and research practices at each site. We heard from Dr.Cecilia Kanyama (Lilongwe), Dr. Henry Mwandumba (Blantyre), Dr. Mosepele Mosepele (Gaborone), Dr. Admire Hlupeni (Harare), Dr. Sumaya Sayed (Cape Town) and Dr. David Meya (Kampala). Next steps will include the production of manuscript summaries about the situational analyses, a 2-page protocol for IRBs and abstract submission to the ASTMH Conference (New Orleans, October 2018) with a view to attending in person. The AMNET website and publicity strategies were also discussed, and creative ideas were shared for communication, information distribution, feedback and stakeholder management. A session was held on mentorship, funding and grant opportunities, and ideas for future meningitis trials. Discussions took place on harmonised screening systems, basic diagnostic packages, development of template trial documents, data-sharing agreements, and building of links with regulatory bodies. We also enjoyed a tour of UNC Project and its state-of-the-art laboratories from Dr. Mina Hosseinipour and Dr. Cecilia Kanyama. Thank you to all members for their enthusiasm and contributions. We look forward already to the next AMTNET meeting, scheduled for July 2018 in Cape Town. Howdy very nice site!! Guy .. Excellent .. Wonderful .. I will bookmark your blog and take the feeds also…I’m satisfied to find a lot of useful info here in the post, we need work out more strategies in this regard, thank you for sharing.